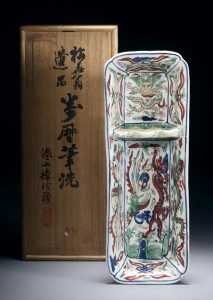 Founded by renowned Hong Kong porcelain connoisseur and antique dealer Mr Elegant Wong Siu-tong in the early 1990s, Ming Gallery specialises in porcelain and scholar’s items from the Ming Dynasty to the Qing Dynasty. Mr Wong worked at Sotheby’s Hong Kong in the early years, before opening his own antiques gallery. Over more than 20 years in the antiques business, Mr Wong has gained many clients and become an expert on scholar’s items in the international market. In addition, he has participated actively in the domestic antiques business.